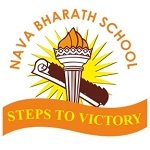 Nava Bharath Residential School is one of the best CBSE School in Coimbatore. We are aiming to provide an International standard of education. We deliver an exceptional educational experience to transform our students’ future. The School was founded on 28th January 2007 aiming to provide an International standard of education. Learning here is investigative and creative and children are given every opportunity to develop academically, physically and artistically with a sense of respect and strong set of values. We are one of the leading schools in both academics and other extra-curricular activities. Sathy Main Road, Annur – 641653, Coimbatore District, Tamilnadu, India. The layout , design and decor of the classroom plays a significant effect upon the quality of the students education. Each classroom is very spacious and airy. The classrooms atmosphere is positive. The classrooms are painted with pleasant colours to reduce distraction and aid concentration to the students. It is quipped with specially designed movable furniture. paciously built library with latest AV gadgets is an affordable store of knowledge supporting the academic mission of the school. It is an open shelf-library containing rare books besides the regular subjects. There are books on integrative journals supported with the latest educational CD’s.